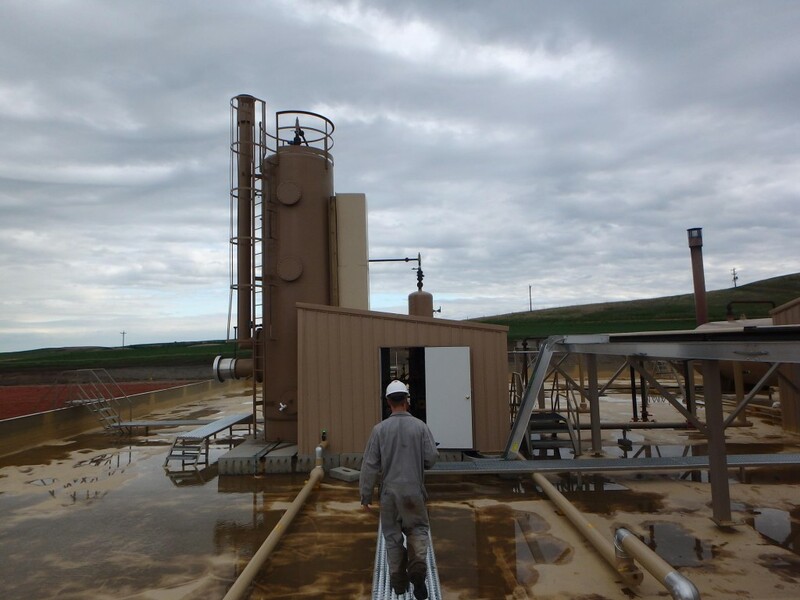 For Continental Resources, Inc. (CLR), Pioneer completed Spill Prevention, Control, and Countermeasure (SPCC) site inspections at 423 facilities located across northeastern Montana and northwestern North Dakota in their Bakken Field. These inspections were at CLR facilities that contained bulk storage tanks used in the production of oil and natural gas. Pioneer completed all inspections and submitted the final deliverables within 37 days of the notice of award for all 423 sites. Took photographs of the site area and facilities. Created a site diagram and updated it as necessary. Verified the number of storage tanks and the capacity and contents of each tank. Measured and recorded the height, width, length, and type (earthen or steel) of all secondary containment berms. Inspected tanks, heater treaters, separators, piping, pumping equipment, and berms for evidence of stains, leaks, spills, corrosion, settlement, deterioration, or other deficiencies. Inspected ditches and site drainages. Gathered the field data and added it CLR’s Enviance System (electronically) and SPCC Tank and Berm Inspection forms. Pioneer also conducted storm water notice of termination (NOT) inspections at 13 sites located in North Dakota. Field personnel took photographs of each site and completed a North Dakota Department of Health NOT form for those sites that had achieved final soil stabilization.